SAN FRANCISCO (CN) – A federal judge overseeing utility giant Pacific Gas & Electric’s conduct in the wake of a criminal conviction for a 2010 pipeline blast that leveled a neighborhood demanded answers about the utility’s safety protocols on Tuesday amid liability concerns for the deadliest and most destructive wildfire in California history. 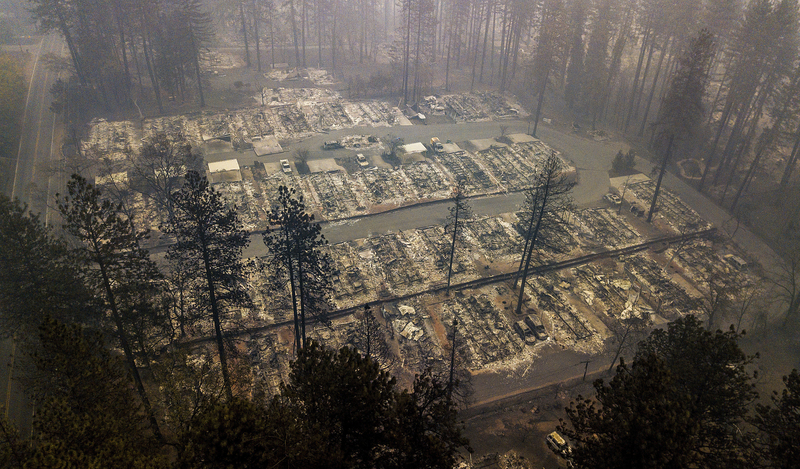 U.S. District Court Judge William Alsup asked PG&E to answer four questions about power line safety and wildfires after reports the Camp Fire – which killed at least 90 people, destroyed thousands of homes and businesses and most of the town of Paradise, California – may have been caused by malfunctioning power lines. “What specific steps has the monitor herein taken to monitor and improve PG&E safety and reporting with respect to power lines and wildfires?” Alsup asked in a notice filed on Tuesday. Alsup is in charge of overseeing PG&E after a federal jury found the utility liable for a natural gas pipeline explosion near San Francisco killed eight people and injured 50 others in September 2010. A federal jury also found PG&E executives lied about the incident and had participated along with regulators in a scheme to shop for a favorable judge. As a condition of a settlement reached this year, the utility must submit to continued oversight by an independent monitor and was placed on probation for five years. The cause of the Camp Fire has yet to be determined, but a resident near the town of Pulga where the blaze began said PG&E contacted her for access to her property to repair damaged power lines. PG&E also filed documents with the California Public Utilities Commission indicating it had experienced malfunctions in the area. Many of the North Bay wildfires which exploded across the region north of San Francisco in October 2017 were found to be caused by PG&E’s deficient power lines and generators, leaving investors fearing the publicly owned utility will be on the hook for much of the $10 billion cost. The California Legislature, in a move supported by Governor Jerry Brown, voted to allow PG&E to raise rates to pay for the liability costs stemming from future fires. Many in the state criticized the move, calling it a corporate bailout, while Brown and others have defended it as necessary to help the utility avoid bankruptcy and continue supplying electricity to customers. But an increasing chorus of voices question PG&E’s corporate governance and its commitment to safety as wildfires continue to wreak broad economic destruction and loss of life. People affected by the Camp Fire have already sued the utility in San Francisco Superior Court, claiming PG&E is more concerned about banking profits than fixing its ailing infrastructure. Patrick McCullum, a co-chair of Up From the Ashes which seeks to hold PG&E accountable, said the company spends too much money on giving executives expensive raises while raising rates on customers to pay for its malfeasance. McCullum says PG&E uses climate change as a convenient bogeyman to distract people from their lack of commitment and investment in upgrading what he characterizes as poorly maintained equipment. But he also said Alsup’s Tuesday filing was promising. “We are pleased the court is actively looking into PGEs risk management practices following the promises it made to the public to improve their safety culture in the aftermath of San Bruno,” McCullum said in an email to Courthouse News.